It turns out that strengthening bone to avoid fractures starts at a very young age. Physical activity, such as the exercise children get in school gym classes, is important for fighting obesity, but the latest research suggests it may help to keep bones strong as well. Researchers found that children in the group that exercised daily reported 72 fractures, while those who didn't recorded 143 fractures. Those who were physically active for 40 minutes a day also showed higher bone density in the spine compared with those who did not exercise as much. Bone density is an indication of bone strength, and the denser bone density is early in life, the stronger bones remain decades later, when natural thinning of bones weakens the skeleton and increases the risk of fractures and breaks. The results confirm previous findings on the benefits for bone of regular exercise. One study found that compared with sedentary women, those who are the most active have the highest bone density and lowest risk of the bone-thinning disorder osteoporosis. Bones become more porous and brittle with age, as cells responsible for building bone become less active and can no longer keep up with the cells that destroy and remove old bone cells. Physical activity can shift this balance toward maintaining a healthy amount of bone growth, say experts. So while fractures are not typically a problem for young children (unless they have a major fall), it’s never too early to start protecting against the future risk of bone problems. “With the current knowledge, we ought to recommend training in young years as a strategy to prevent fragility fractures at old ages,” the authors wrote in the study. Just one more reason for children to trade in the TV for a few laps around the track. Chiropractic can help all, including giraffes! 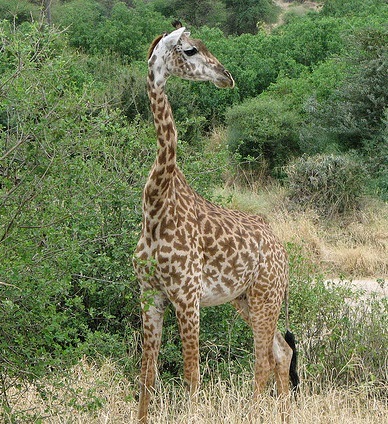 Giraffes and humans have at least 2 things in common: they both have 7 bones (vertebrae) in their neck, and they both benefit from receive Chiropractic care. A 2-yr-old male giraffe, suffering from severe mid-neck torticollis received a series of Chiropractic adjustments to help restore proper neck mobility. Laser therapy and cervical range of motion exercises were also used to reduce cervical muscle tightness. The combined application of these therapies produced marked clinical improvement. Dwelling on negative events can increase levels of inflammation in the body, a new Ohio University study finds. Researchers discovered that when study participants were asked to ruminate on a stressful incident, their levels of C-reactive protein, a marker of tissue inflammation, rose. The study is the first time to directly measure this effect in the body. The study showed that those people who focused on a stressful even, the levels of the inflammatory marker continued to rise for at least one hour. Compared to people who thought of more relaxing events, the marker returned to starting levels. More and more, chronic inflammation is being associated with various disorders and conditions. The immune system plays an important role in various cardiovascular disorders such as heart disease, as well as cancer, dementia and autoimmune diseases. So you really are what you think! To help yourself heal, focus on positive thoughts daily. More of us are struggling with energy issues, experts say; they point to the weak economy, which has us working harder and plugging in longer, and the belief that we can have it all (so what if we're up till midnight making it happen?). "I'm seeing so many women who think of themselves as machines that can run nonstop, and they're living with this deep fatigue," says psychologist Michelle Segar, associate director of the Sport, Health, and Activity Research and Policy Center for Women and Girls at the University of Michigan. "Just like houseplants need water, our energy reserves need regular replenishing." To the rescue: strategies that will keep you humming along - and, happily, don't take much effort. Don't delay the day. It's so tempting to hit snooze when your alarm goes off in the morning. Problem is, "by falling back asleep, you could be interrupting the hormone cycle, which can make it harder to get going," Dodell says. Better to just set your alarm for 15 minutes later -and keep your clock across the room so you can't reach out and silence it. Let in light. First thing in the morning, open the shades in your windows to allow as much light into your house as possible. Ease into things. Get up 15 minutes before the kids so you can shower and get dressed. And, yes, avoid the siren call of e-mail: "Facing an onslaught of to-dos can be a big drain if you haven't cleared your mind first." Get moving. Not an early morning exerciser? Rethink your idea of a workout. In a University of Georgia study, people who did a low-intensity aerobic activity (think a leisurely walk) three times a week had a greater reduction in fatigue levels than folks who did higher intensity workouts (like a faster-paced walk with hills) for the same amount of time. Get Adjusted. Chiropractic adjustments keep your nerve system clear and working optimally. As a result, your body will be able to adapt to the stresses of life. Additional ideas can be found here.